This is a 3 1/2 hour workshop which focuses on parenting skills. Parents will learn a Christian philosophy of parenting along with specific techniques in 5 basic parenting skill areas: teaching, requiring obedience, affirmation, intervention, and nurture. A four week "follow up" small group experience is also offered. This is a 6 week course introducing participants to the basic concepts and disciplines of spiritual formation. Each week video presentations featuring noted author, Ruth Haley Barton, are shared followed by a time for discussion and Bible study. This is a 5 week course focusing on skills and concepts for marriage renewal. Video presentations featuring nationally recognized marriage expert, Michelle Weiner-Davis, are shared followed by a time for discussion and couple interaction. Dr. Schneider is a certified adoption home study provider. Home studies involve separate meetings with each family member and sessions with the family as a whole. It also involves at least one visit in the applicant's home. Cost of home studies vary depending of the number of hours involved. We will work with companies, churches, and organizations to assist in resolving staff and membership conflicts. We offer coaching for churches using Solution Focused Brief Therapy principles to help chart a path for congregational growth. We can provide counseling for employees and staff who need assistance in dealing with organizational, personal and/or family problems. 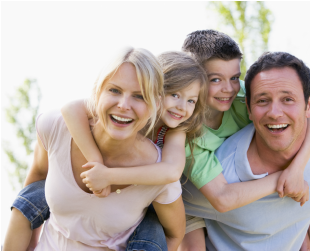 We are available to consult with attorneys on cases involving family or mental health issues. ​Presentations can be made on a variety of topics: stress management, parenting skills, good communication, resolving conflict, marriage enrichment, and growing in faith are just a few of the topics that can be presented. There's Healing And Hope For Families Today! ​1401 E. Taft, Sapulpa, Ok.